i love physical therapy: Sprinting simply cannot be beat! 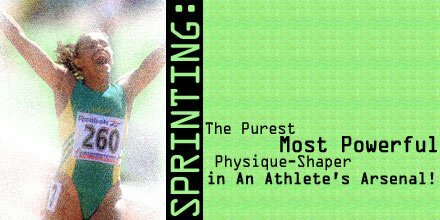 "When it comes to cutting you up and promoting a nutrient-partitioning milieu conducive to building and maintaining a lean, muscular physique, sprinting simply cannot be beat. A simple look at competitive athletics demonstrates this pretty clearly". Amazed? Read the rest here.